The location of the hike was Newlands Forest. It was a fairly moderate route and it took approximately 1 hour and 20 minutes to complete. A total of 56 students participated and each group completed the entire route. The fact that each group completed the entire route was really extraordinary, and it was extremely inspiring to see students encourage one another throughout the hike to complete the route as a group. “The response we got from the students was positive with most of them wanting it to happen regularly. We plan to organize more recreational activities which positively contribute to the enhancement of the students’ experience and encourage student engagement,” said Kurt Lenders, who is one of the Sports Coordinators. The College of Cape Town received a number of very prestigious and highly acclaimed awards at the Opening Ceremony of the Department of Higher Education & Training’s Technical and Vocational Education and Training (TVET) Imbizo which took place in Johannesburg recently. One of these sought after awards is the Minister’s Award for the Most Innovative College in the area of Information and Communication Technology (ICT). The Minister’s Award for the Most Innovative TVET College in ICT was made on the basis of an industry demand-led ICT programme called the “PROPEL” programme, which was run at the College’s Crawford Campus over a 3 year period. The Western Cape Government’s Department of Economic Development and Tourism (DEDAT) funded the programme which started during 2014/15 when the college had to train and facilitate employment opportunities for 170 previously unemployed youth in Cisco and Linux. The name of the programme was aptly chosen as it described “moving” someone or something into a new situation or make them do something. In the context of the programme, PROPEL referred to “propelling” students who undertook a short focussed technical and soft skills training course which could lead to meaningful employment. The overall objective of the programme was to fast-track unemployed persons, mostly Matriculants and TVET National Certificate Vocational (NCV) Level 4 students in ICT skills that have been determined by industry to be in high demand and short supply, thereby dramatically increasing their opportunities to gain employment upon completion. The training would simultaneously add to the economic development of the region by increasing the pool of qualified ICT professionals to industry. The project was intended to involve various stakeholders including the Western Cape Government (DEDAT), the Cape IT Initiative’s CapaCiTi Training and Internship Programme, and Cape Town-based mentoring companies. Since its inception, the PROPEL Project has trained and placed more than 400 students, and to date has seen three iterations of the programme being delivered. As an important feature for the programme, it included the involvement of approximately 30 to 40 companies to date, and an ecosystem of partnerships with mentoring firms with the assistance of the Cape IT Initiative. The support rendered by DEDAT has been significant for the College of Cape Town’s ICT Department as it served to build internal capacity along the way. The PROPEL Programme has been successful not only in training unemployed youth in relevant industry-demand-led skills programmes, but also in placing these students in sustainable employment through the Cape IT Initiative’s CapaCiTi programme. The Cape IT Initiative were responsible for managing, recruiting and placing students in employment as part of this project. The initiative provided Cisco CCNA 1 and 2 networking training, and through CapaCiTi, end-to-end recruitment support, on programme life skills and mentoring, and post-training internship placements over an 8 month period. The impact should have long term benefits for local communities, and an increased employment opportunity for both participants (students) and for local business. By targeting unemployed or semi-employed (ad hoc employment or shorter termed project based) youth, the programme supported government’s national priorities such as the HRD Strategy; NSDS III; Growth, Employment and Investment strategies; Broad Based Black Economic Empowerment and Social Development. Ultimately, project beneficiaries were the unemployed and semi-employed individuals from Cape Town and its surrounds who showed good attitude, a strong ability to learn and technical aptitude. The beneficiaries were mostly black males and females who had a minimum of matric with Mathematics as a subject. Through the PROPEL programme, several students were successfully placed in industry with many finding permanent employment afterwards. The project also allowed for the placement of lecturing staff at companies, and also allowed for their upskilling through industry-led training in programmes such as Oracle Java and other initiatives such as Bitcoin/Blockchain technology exposure. A huge focus for student placements included a Work Readiness component in the form of Speed Interviews, Corporate Life Skills, Passport to Success and IT Services Management training. The College’s Academic Manager, Deon Halls, also coordinated the International North South ICT Conference with a theme titled: The Connect College: Leading and Innovating towards Student Employability in a Digital Age. The aim of the conference was to further capacitate lecturers with the assistance and inputs of role players such as DEDAT and the British Council of South Africa. A special Skills 4 Work Zone was established to have a focused track run on 21st Century Skills. In his address at the TVET Imbizo, former Minister Nzimande stressed that the roadmap to the DHET’s desired vision should not be an isolated or independent process, but an integral part of all the initiatives currently under way, as well as those that are still being planned. He noted that “TVET colleges are vital national assets which empower the next generations with very practical skills and knowledge. They make a crucial contribution to the ability of our economy to be competitive.” Highlighting the critical importance of industry partnerships with the TVET sector, former Minister Nzimande urged employers, be they public or private, to ramp up their partnership with the DHET and TVET colleges to re-build a strong and vibrant TVET System. “This is something which we must do together if you are to get the skills you need, and we are to assist students to acquire the skills needed by the economy,” he concluded. The Department of Higher Education and Training (DHET) hosted the Technical and Vocational Education and Training (TVET) Imbizo at the Lakes Hotel and Conference Centre in Benoni on 3 – 5 October 2017. This event was attended by senior representatives of all 50 public TVET Colleges, as well as senior officials of the DHET and representatives of industry and Labour. Hosted by Minister BE Nzimande, the Minister of Higher Education and Training, the opening ceremony of the Imbizo included an awards ceremony whereby TVET Colleges were acknowledged for excellence in delivery across a number of categories. The College of Cape Town received two very prestigious and highly acclaimed awards at the Opening Ceremony, namely the Minister’s Awards for the Most Innovative College in the area of ICT Technology, and The Most Innovatively Governed and Managed College. College Principal, Mr Louis van Niekerk, also received a Heads of Trainers Certificate for his role in heading a team of trainers on the Professional Development of Campus Managers Project. Further to these awards of excellence, the College of Cape Town was awarded Centre of Specialisation status for Automotive Motor Mechanics and Plumbing. These awards were made in conjunction and based on consultation with the Retail Motor Industry Organisation (RMI) and Institute of Plumbing South Africa (IOPSA) and respectively. During his address at the opening ceremony, Minister Nzimande emphasised the appropriateness of the theme for this year’s event – “defining a shared vision, removing obstacles and charting a roadmap to our destination”. Minister Nzimande indicated that the Imbizo can be considered as a necessary, perhaps even critical pause in the endeavours of the DHET to deliver an effective and efficient TVET system through the White Paper on Post School Education and Training Implementation Plan, as well as the review of the National Skills Development Strategy 3. “This will allow us to craft an integrated approach towards achieving a common vision for the TVET Sector,” he said. Highlighting the critical importance of industry partnerships with the TVET sector, Minister Nzimande urged employers, be they public or private, to ramp up their partnership with the DHET and TVET colleges to re-build a strong and vibrant TVET System. “This is something which we must do together if you are to get the skills you need, and we are to assist students to acquire the skills needed by the economy,” he concluded. Upon receiving the awards, Mr Louis van Niekerk, Principal of the College of Cape Town, thanked the Council of the College of Cape Town, all industry partners with whom the College have developed strong relationships over the past years, and especially the College staff for their commitment, dedication and passion to the students of the College. “It is only because of the continuous efforts of our staff that we, as College of Cape Town, are able to achieve the success that we have been acknowledged for here this evening. Partnerships with industry ensures that our curriculum delivery meets the skills requirements of employers, and their investment of time and resources in our training environments ensure that we are always able to provide training using the latest technology. Tuesday, 03 October 2017 proved to be a very important and significant day in the history of Technical and Vocational Education and Training (TVET) Colleges in South Africa, and especially so for the College of Cape Town. On this day, the Department of Higher Education & Training announced the official Centres of Specialisation at an Awards Dinner hosted by the Minister of Higher Education & Training, Dr. Blade Nzimande, at the TVET Imbizo held at the Lakes Hotel and Conference Centre in Benoni, Johannesburg from 03 to 05 October 2017. The College of Cape Town, the oldest TVET College in the country with a proud history dating back to the beginning of the 20th century, has again proven its ability to not only deliver in the needs of industry through quality education and training, but also ensure that students are skilled to meet these needs upon completing their studies. This ability was proven by two of the College’s campuses being named as a Centres of Specialisation for specific trades on the critical list, as identified in 2016. Thornton Campus has been declared a Centre of Specialisation for Plumbing, whilst Athlone Campus has been declared as a Centre of Specialisation for Automotive Motor Mechanic. The selection of these Centres of Excellence were done by the DHET in partnership with the Institute of Plumbing South Africa and the Retail Motor Industry Organisation respectively. Where did the concept of Centres of Specialisation start? On 9 February 2012 the President announced government’s plan to initiate a massive infrastructure investment programme. The programme consisted of 18 Strategic Integrated Projects (SIPs). Each SIP is a fusion of projects which sets out to address a particular socio-economic opportunity or challenge within the country. What is a Centre of Specialisation? A Centre of Specialisation is a department within a public TVET college campus dedicated to training, in partnership with employers, successful, quality artisans in one or more of the priority trades listed above in sufficient numbers to meet the needs of the SIP projects and other strategic projects. This goal is set to be attained through the provisioning of the Quality Council for Trades and Occupations’ (QCTO) trade qualifications (‘apprenticeships’) using a South African adaptation of the dual system approach. Both quality standards and quantity targets are to be set for each trade which are to be attained over the lifespan of the Centre of Specialisation Programme, which runs until 2022. Why are Centres of Specialisation Important? The focus on trades in high demand aims to ensure that the strategic projects of government will be constructed and maintained using high quality South African skilled artisans. This will simultaneously contribute to job creation and poverty alleviation goals as set out in the national Development Plan 2030. The public TVET college system is ideally placed to answer and respond to the call from industry and the state for more skilled artisans. The core mandate of TVET colleges to train skilled artisans via Centres of Specialisation provides the DHET and its partners with the opportunity to develop sites of good practice which others can follow in due course. The DHET is also applying the model of selecting certain colleges to focus on particular trades, to lay the foundation for differentiation in the college system. And whilst some other colleges may later specialise in the same trades, it is desirable that others develop expertise in other trades and occupations so there is reduced duplication and increased quality specialisation. Centres of Specialisation are centres that will implement the new trade qualifications registered on the National Qualification Framework (NQF) by the Quality Council for Trades and Occupations (QCTO). These qualifications have been developed to overcome the historical spread of uneven Sector Education and Training Authority (SETA) trade qualifications and to provide a single national standard, per trade, which can be easily understood in the labour market. The College of Cape Town has been actively involved in and instrumental in the development of the new curriculum for these qualifications by the QCTO to meet industry needs, and has been an accredited trade test centre for various priority trades for many years. This prestigious acknowledgement by the DHET and Industry was achieved as a result of extensive attention to innovation and development within the TVET sector, close relationships and partnerships with industry partners across numerous sectors, as well as the passion and dedication of the staff of the College. Louis van Niekerk, Principal of the College, lauded the staff of the College for their role in this prestigious achievement. “Our success is based on the invaluable efforts of all our staff. Each staff member plays a critical role in the development of our students, and their efforts are evident in the success rate we achieve in not only the academic field, but also in the development of work-ready, employable graduates who are sought after by industry. Our entire business focus is student-centered, and for that reason we strive to continuously innovate and improve to deliver holistically developed graduates that meet the skills needs of not only the Western Cape, but the whole of South Africa and well into the African continent”. “We have invested tremendous time and effort into building strong relationships with industry partners, not only to ensure that our curriculum delivery meets the needs of industry, but to capacitate our students and enable a higher rate of employment amongst our graduates. We wish to also extend our appreciation to our College Council, the leadership of the DHET, our industry partners and all other stakeholders who encourage us to continue inspiring minds”, he said. 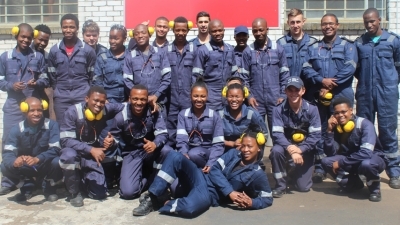 For more information on the Centres of Specialisation in Plumbing or Motor Mechanics, or any of the sought after Engineering trade qualifications offered by the College, please contact Mr Frikkie O’Connell at foconnell@cct.edu.za or via telephone 021 531 2105/6/7. The Department of Higher Education and Training (DHET) hosted the National Students Debate 2017 at the Premium ICC Hotel in East London on 30 August 2017. In 2008 the Department introduced the Student Support Services Framework (SSSF) in an effort to streamline and integrate student support initiatives in the college curricula. The SSSF focuses on three different components that will ensure that students are provided with holistic services, namely: Pre-entry Support (Selection and Placement into appropriate programmes); On-course Support (Tutorial systems, performance monitoring, etc.) and Exit Support (Work placement and self-employment). To improve the written, oral communication and reading comprehension of the Language of Teaching and Learning (LTO), the Department introduced an annual national debate for Technical and Vocational Education & Training (TVET) College students. This debate competition was a result of many studies showing marked improvement in a wide variety of academic skills as a result of participation in such initiatives. It is hoped that this intervention will not only instill confidence in the students in communicating in the English language, but also spark their interest in reading and doing research. All 50 TVET colleges in the country were required to send two students to represent their College and participate in the National Debate. Aviwe Mvoko and Keitumetsi Masuge represented the College of Cape Town and formed part of the Western Cape Provincial team. The team consisted of student representatives from the College of Cape Town for TVET, Boland TVET College, West Coast TVET College and Northlink TVET College. The students were judged on various criteria consisting of students’ knowledge of the topical field and awareness of the opposing positions on the issue; information imparted and the ability to integrate evidence into a coherent and well-structured argument; unique or different styles of delivery or any notable failures to get points across; good arguments, flaws in arguments or the instances of fallacious reasoning. The Judges panel consisted of Ms Aruna Singh (Acting Chief Director: Programmes and Qualifications, DHET), Ms Vuyokazi Mafikila (Director: Student Development and Support, DHET), Ms Nozipho Khumalo (Deputy Director: Academic Support, DHET) and Ms Nkhesani Mabunda (Chief Operations Officer, ETDPSETA). Aviwe, who represented the College of Cape Town, stood tall and proud and said “I stand here with my team to argue robustly and fearlessly the topic of “Can the Government realistically afford to provide allowances, considering the current economic status of the country and limited bursary funds”. His argument referred to State, who created expectations in 1994 at the commencement of democracy, and the expectation and belief of the citizens of the country that everything will happen within a short space of time. He stressed the fact that the South African Government caters for over 40 departments within their budget and that each department is allocated funds which should be used wisely by each department. The Ford Motor Company of South Africa has selected the College of Cape Town as worthy recipients of two Ford Ranger Double Cabs. The Vehicles were delivered to the College’s Athlone Campus on Tuesday, 5 September 2017. On Tuesday, the Motor Mechanics students, lecturers and College Management waited in anticipation for the vehicles to arrive. The joy of receiving this donation was visible in the smiles and laughter as the vehicles drove onto the College of Cape Town’s premises. The vehicles were donated to the College to assist previously disadvantaged students with skills development and training in the automotive sector. These vehicles will be used as part of the students’ practical training and will enable students to enter the workplace with experience in the latest technology. This experience is essential in increasing the marketability and employability of future artisans once they have completed their studies. The donation will enable our automotive students to acquire practical skills and knowledge to enhance the revised curriculum. For more information on the automotive training and trade testing opportunities available at the College of Cape Town, please contact Mr Rueben Mokotedi at tel. 021 637 9183. Emmanuel Athiphila Mtomboti dreamt of being part of a South African team who plays Australian football. He was first introduced to the sport while at high school in 2013. He loves the game and plays for a local team called the Divines, based in Khayelitsha. This 20 year-old is also enrolled at the College of Cape Town, Crawford Campus where he is part of an 8-month long learnership programme in ICT. Emmanuel’s dream came true this year! His dedication and love for the sport paid off – he was selected to play in the International Cup (IC17) held in Melbourne, Australia from 5 – 19 August. This event only takes place every three years, with the next one being in 2020. South Africa sent 28 players in total, but only 18 players were selected for each of the 5 matches played. Emmanuel’s talent saw him selected to play in all the matches, but due to an injury he missed out on one match to recover. South Africa won two of their matches. They played against Great Britain, Papua New Guinea, France, Fiji, and USA. “It was a great experience. I saw so many new things during those 3 weeks as I travelled to and around parts of Australia,” he says. This was Emmanuel’s first international experience. Emmanuel says that for anyone interested in learning more about Australian soccer or joining a local team they can contact him (073 6089749) directly or his coach, Dongweni (083 3949917). Public TVET College students, private college students and industry apprentices from across the country competed at the Second South Africa WorldSkills Competition in Durban recently, vying for the honour of representing South Africa at the International WorldSkills Competition in Abu Dhabi, United Arab Emirates, in October 2017. The three-day competition, held from 14-17 February at Durban’s ICC, involved 122 competitors. The Western Cape entered 32 participants to perform in 17 of the 22 skills areas, namely: Automotive Body Repair, Automotive Technology, Beauty Therapy, Bricklaying, Spray Painting, CNC Turning, Cooking, Electrical Installations, Graphic Design, Hairdressing, IT Network Systems Administration, IT Software Solution for Business, Plumbing & Heating, Refrigeration & Air-conditioning, Restaurant Service, Web Design and Welding. The WorldSkills Competition is held every two years and is the biggest vocational global education and skills competition event that attracts participation from young people in industry and training providers from 74 countries. The competitors represent the best of their peers and are selected from WorldSkills competitions in member countries and regions. Participants must demonstrate technical abilities, both individually and collectively, to execute specific tasks for which they are trained or perform in their workspace. One of the main reasons for participating as a country in the WorldSkills Competition is to give visibility and importance to practical vocational education and training, as one of the major vehicles for socio-economic transformation. In yet another first for the African continent, CPUT has teamed up with industry and the College of Cape Town (CCT) to launch a project to boost the skills of marine engineering students. This flagship project is intended to provide the much needed statutory South African Maritime Safety Authority (SAMSA) accredited Marine Engineering Workshop Training (MEWT) to CPUT marine engineering cadets, who have successfully passed S1 and S2 in 2016. The training will take place prior to their work integrated learning seagoing phase aboard internationally owned trading vessels. “The MEWT is a is a statutory requirement of the SAMSA Code and the International Maritime Organisation’s international convention governing the standards of training, certification and watchkeeping for seafarers to which South Africa is a signatory,” says Pieter Coetzer, Training and Development Manager at the South African Maritime Training Authority (SAMTRA). Participants include CPUT’s Department of Maritime Studies, the College of Cape Town, SAMTRA and the Transport Education Training Authority. The students will be trained on, among others, diesel engines, electrical, fitting and turning, hydraulics, pneumatics, sheet metal work and welding for a period of approximately eight months. Coetzer adds that the CPUT students will after the training be required to work on merchant ships for a further 12 months, and obtain an internationally recognized certificate of competency issued by SAMSA. “This will enable them to work in the international shipping arena as Marine Engineers, and earn a tax-free, foreign currency salary,” he says. The programme also ties in with the Government’s Operation Phakisa, an initiative aimed at tapping into the opportunities the ocean’s economy provide. Provides coverage for the Business and Education Faculties, Student Affairs Department and Cape Town and Mowbray Campuses. We are pleased to announce that seven students from the College of Cape Town are amongst those representing the Western Cape at the WorldSkills National Competition taking place at the International Convention Centre in Durban from 14 – 16 February 2017. WorldSkills prides itself in improving the world with the power of skills, showcasing the value of skills and raising the recognition of skilled professionals world-wide. Early last year a number of competitors entered the Local Heats that took place at various TVET Colleges around the Western Cape. Participants and skills experts were put through their paces to be amongst those selected to compete in the Western Cape Provincial competition that took place in December last year. A prestigious awards ceremony was held at the College of Cape Town to further identify the competitors that showed the highest level of technical, attitudinal and behavioural skills and these participants were then selected to represent the Western Cape at the WorldSkills National Competition in Durban. As the nerves, excitement and pure anticipation became more evident, the competitors received a personal word of encouragement from the College of Cape Town Principal, Mr Louise Van Niekerk and PADSC (Provincial Artisan Development Steering Committee), who arranged a readiness workshop on the 9th February to ensure all our competitors and skill experts have everything they need to represent the Western Cape in style. Competitors and skills experts gathered at Cape Town International Airport on Sunday morning to take flight for this once in a life time opportunity they worked hard to attain. We encourage our competitors to keep up the hard work so that they can be amongst those selected to represent South Africa on the International platform as well. The International Competition is really the “Olympic Games of Skills” with more than 1 000 of the best in their skills area from 74 countries come together to compete to see who is the best in the world. The top candidate from each skills area at the National Competition will undergo a rigorous training programme in preparation for the International Competition, which takes place in Abu Dhabi in October 2017. We would like to wish all our participants all the best for their journey through the final stages of the WorldSkills Competition. 18 November 2016: Public Technical and Vocational Education & Training (TVET) College students, private college students and industry apprentices competed during late November and early December 2016 for a spot to represent the Western Cape at the National WorldSkills South Africa Competition in 2017. Mr Mduduzi Manana, Deputy Minister of Higher Education and Training launched WorldSkills South Africa in 2013, as part of his drive to make (TVET) Colleges and artisanal trades more attractive. The regional challenges saw 61 students under the age of 23 compete in 17 vocational skills areas. Finalists from the provincial challenge will be trained and evaluated to form part of team Western Cape, which will go on to compete at the 2017 National WorldSkills South Africa Competition in Durban in February 2017. Top performers at the National Skills Competition will represent South Africa at the International WorldSkills Competition in Abu Dhabi later in 2017. Participants were selected from a range of earlier competitions held at TVET Colleges throughout the year to compete in skills areas such as Autobody Repair, Automotive Technology, Beauty Therapy, Bricklaying, Car Painting, CNC Turning, Cooking, Electrical Installations, Graphic Design, Hairdressing, IT Network Systems Administration, IT Software Solutions for Business, Plumbing & Heating, Refrigeration & Air-conditioning, Restaurant Service, Web Design and Welding. During the regional and national competitions, candidates are evaluated and judged on their technical ability to complete challenges within the prescribed time allocations. Vigorous candidate training and planning is provided by experts in each skills area to ensure candidate readiness for each level of the competition. The Western Province competitions were attended by skills experts, judges, Higher Education & Training officials and the principals from the participating TVET colleges in the Western Cape. According to the main custodian, the DHET, the WorldSkills Competition provides numerous prospects for skills exchange, experience and technology innovation while raising awareness of the artisan sector and its career path possibilities for gainful employment. The National Skills Competition will be open to the public, and learners, educators and parents are encouraged to attend the event for insight into the various artisanal trades. For more information visit the Western Cape World Skills Facebook page: facebook.com/WorldSkillsZAwc. Confidence, Maturity and a sense of Achievement is what oozed at the Graduation Ceremony at the I-CAN Centre for students who completed the course in IT Essentials and Essential Business Skills from October to December, last year. The ceremony took place at the I-CAN Centre in Halt Road Elsies River on 12 February 2016. The I-CAN Centre forms part of the roll out of the Western Cape Government’s broadband plan to connect communities across the province over the coming years. These 2 Skills Courses were funded by Department of Economic Development & Tourism (DEDAT). The College of Cape Town is the training partner for the I-CAN Centre, through the Genesis Project, to develop and deliver a blended learning model of ‘Essential Business Skills and IT Essentials’ with the intention of improving employability of students. Fahiem Jeppie, lecturer for IT Essentials was happy and overjoyed to see his class of 13 students graduating. He said “Over the past 4 months I could see their confidence grow together with their understanding of computer concepts, trouble shooting and hardware.” He added that “with this ‘IT Essentials’, the student is able to apply for a Junior IT position, ready for on the job training.” He encourages leaners with matric or learners who have not passed matric but who possess a passion for IT, to complete this course. “Communication and presentation is important in the business world.” This is what Graduate Bronvin van Rooyen said about his learning experience. He is now able to look at every opportunity and use it to his advantage. He said if he looks back to 4 months ago, he can confidently say that his ‘Attitude’ is what has changed the most and he highly recommends the course to everyone. Natasha Anderson thanked her lecturers for making that difference in their lives, for caring and sharing so that they could graduate today! Parents and Graduates alike were smiling as Certificates were handed out by Mr Gafieldien and Mr Halls of the College of Cape Town. Mr Thomas Gilbert, Chairperson of the Elsies River Social Welfare Association (ERSWA) says that he has been serving the community for the past 50 years and today seeing these Graduates has made him very happy. Local Artists Adrian Dampies and Larnelle Horne rendered an item in song encouraging the students by singing “ You never knew the Lord would bring you this far”. Centre Manager Llewellyn Scholtz said it was a proud moment to see how the lives of students have been changed and also to see how the investment from the I-CAN Centre is able to give them a better future. ‘I can! You can! We all can at the I-CAN Centre!’ is how Judah Scholtz, Centre Co-ordinator ended the Graduation Ceremony. ICAN Graduation: Graduates with Lecturers Hester Carolissen on the left, Fahiem Jeppie on the right and Mr Gilbert Thomas of ERSWA in the middle. The Bett Show (formerly known as the British Educational Training and Technology Show) is an annual trade show in the United Kingdom that showcases the use of information technology in education. Over the past few years, the show has expanded from being a purely technology show, and whilst it has played host to companies ranging from multinationals Microsoft, Google and Apple Inc. to small single-product firms, it has also created themed zones for exhibitors, such as those specialising in SEN (Special Needs) provision. Apart from the trade show itself, a large number of seminars from well-known providers are held at Bett, which offer training (Continuing Professional Development) opportunities for education professionals. Every year our Norwegian Partner, Haugaland Skole, encourages the public TVET colleges in the Western Cape to visit the annual Bett Show in London to keep abreast of the latest developments in educational technologies. Odd Henning Johannessen (Principal of Haugaland Skole) is highly supportive of the event and both College of Cape Town and False Bay College as organisers of the International North South TVET ICT Conference to attend the event in order to be in touch with trends and developments and to make contact with potential international speakers for the conference. This year, the event was attended by Marian Theron (False Bay TVET College) and Deon Halls (College of Cape Town) along with two Grassy Park school principals (Denzil van Graan and William Prinsloo). The event’s keynote speaker was Sugata Mitra who is Professor of Educational Technology at the School of Education, Communication and Language Sciences at Newcastle University, UK. Sugata is well known for his $1m TED Prize in 2013 in recognition of his work and to help build a School in the Cloud, a creative online space where children from all over the world can gather to answer ‘big questions’, share knowledge and benefit from help and guidance from online educators. The School in the Cloud brings together Self Organised Learning Environments (SOLEs) to link in with the Granny Cloud, originally set up in 2009 following an appeal for retired teachers willing to offer a few hours a week to help teach English to Indian schoolchildren. This mentoring and encouraging role is still a vital part of the success of this educational approach today. His “hole in the wall” theory and lessons involves leveraging chaotic info into creating structured inputs from students through a natural processes and self-organisation. The granny cloud refers to an unstructured teacherless self-organised learning environment. The “school in the cloud” concept was born from his theory and a 3 year project conceived to test if the concept could work if students can learn by themselves. Important for the research project was group interaction, decent internet access and some measure of support. Based on the findings of his research, the future of teaching and learning is on “assessment” (ie. the starting point for change in education) which must become continuous and automatic to open-ended questions. The future assessment system will transform the teaching system – this is where change must happen to produce spontaneous and ordered responses. Professor Sugata pre-empts the future of pedagogy where “finding out” becomes more important and “knowing”. Similarly, another change process involves evolving “writing” to “communication” and “arithmetic” to “how to compute” a response. Apart from our Bett Show attendance, we used the meeting opportunity with the Norwegians for North South conference planning sessions in order to strategically align the theme of our conference for the year based on findings and trends at the show. Odd Henning Johannessen also sees the value in inviting all partners (Spanish, Italian, Norwegian, Irish and English) of the Erasmus + Project (European Union funded) to attend as it also added great value in terms of insights for the project. The Erasmus + Project involves FE Colleges from the various European countries in collaborate around ICTs and educational technologies that are deployed in innovate ways. These experiences are documented and researched and shared amongst the consortium. At present, the European Union rules are being reviewed which might pave the way for College of Cape Town and False Bay College to enter a further collaboration as African partners. Other that the Bett Show, several other engagements were attended to such as the Association of Colleges (UK) and Find-a-Future (WorldsSkills UK) visits, a meeting with Liz Waller (Director of Library Services at the University of York) and a trip to Highbury College (a top rated FE College by Ofsted) in Portsmouth in order to foster a new partnership for the College of Cape Town. The College of Cape Town were once again afforded the opportunity to participate in the prestigious PlatAfrica 2015 competition. Sakhile Ndawo, a third year Jewellery Manufacturing student, was rewarded with an Honourable Mention at the award ceremony held at the spectacular rooftop deck at the Level three Kramerville Place in Gauteng. Sakhile received the award based on his innovative and inspiring design. The annual PlatAfrika Awards is a celebratory occasion sponsored by Anglo Platinum and Metal Concentrators. The recent ceremony was attended by 350 guests, which included distinguished guests from design houses and established jewellery manufacturers. The annual PlatAfrica competition has become synonymous with excellence in platinum jewellery design and manufacture and is one Anglo American Platinum’s key beneficiation activities. The competition requirement therefore not only showcased the beauty of platinum, but also the remarkable talent of our local designers. Under the 2015 theme “Indian Bridal Jewellery”, local designers were challenged to create symbolic platinum jewellery based on the Indian tradition of ornate jewellery, which for thousands of years was renowned for its visual appeal. Although gold jewellery dominated designs in the past, modern brides are now slowly moving towards innovative designer jewellery made of platinum, true to tradition, yet contemporary in design. It was therefore a challenge for each and every designer to create a jewellery piece for the bridal couple that would be simple, yet meaningful; modern, yet respectful of tradition and elegant, yet making a statement. The competition received 148 entries, with Sakhile being placed in the top 20. He based his inspiration in the Indian tradition and the commitment to tradition through their long heritage. He was drawn towards the Indian people and their close bond to family, relatives and loved ones. It is a cycle of life that has continued throughout the Indian culture and has come to life through his unique platinum earrings platinum. “This year’s competition was a wonderful challenge and experience” said Sakhile, who is proud to have received such an honourable award. Louis van Niekerk, Principal congratulated Sakhile on his achievement and thanked the academic staff for their dedication towards the students’ future career paths. “The quality and creativity of the pieces entered into the competition was a true reflection of South Africa’s talent and passion for platinum design. Our students’ participation, and Sakhile’s achievement, again emphasises that our students have not only benefited from personally handling platinum and learning about is strengths and capabilities, but they have developed the skills required for designing and manufacturing jewellery in a very competitive industry. We are very proud of their achievements”, said Van Niekerk. The College of Cape Town’s Beauty Therapy Department is fully accredited to offer the International Therapy Examination Council (ITEC) qualifications. ITEC has been awarding high quality and respected industry qualifications since 1947. It is now one of the world’s leading and most successful awarding bodies specialising in the Beauty and Complementary Therapy sectors. ITEC offers one of the largest beauty qualification portfolios including qualifications for employability, specialist subjects and skills enhancement leading to Continuous Professional Development (CPD). The College of Cape Town ensures that the qualifications obtained from the institution have global recognition and that they meet the quality standards as required, both nationally and internationally. The Beauty Therapy ITEC qualification commences at Level 2, allowing access to those that have successfully completed Grade 9. This three year qualification (Level 2, 3 and 5) offers an opportunity to gain theoretical, practical and integrated college and industry work experience thereby ensuring readiness for employment. The qualification offers a structured work placement component. Upon completion of the ITEC Diploma Level 5, graduates will be qualified as Beauty Specialists in Facial, Body and Complementary Therapies. Work opportunities are available world-wide in any industry that requires the services of a qualified Beauty Therapist or someone skilled in dealing with customers, e.g. beauty salons on cruise liners, health spas, hotels, your own business, industry-related consultancy, industry-related sales and marketing, lecturing at an industry-related educational/training institution. For more information on this exciting career field, please contact Wynberg Campus at tel. 021 797 5540. The reality of longer and multiple careers over a lifetime means individuals will have to re-skill and up-skill as technologies and ways of working change. The need for individuals to earn an income to support their families are however affected by the inability to take time off to study full-time. At the same time the limited space in tertiary and TVET institutions for full-time studies means that individuals need to consider other means of achieving their career and education dreams. Education brings significant benefits to communities, not only through higher employment opportunities and income but also via enhanced skills, improved social status and access to networks. With full-time studies not always an option, part-time study plays a critical role to in raising, updating and improving skills to ensure that individuals have the skills and qualifications employers need. The College of Cape Town offers a variety of exciting part-time and short enrichment programmes to help employed individuals and youth not in full-time studies develop the skills required to enhance not only employability, but improve earning potential, provide access to better career prospects and promotion opportunities, and enhance individual self-confidence and happiness. Part-time study offers the flexibility to fit in education around a working or family life, while continuing to work to support your family and finance your course. For those that are working, you can simply enjoy being better at the job you already have. A qualification that’s linked to your current career can help you gain professional recognition, and increase your depth of knowledge in your field. Learning in the classroom can be applied directly to your work, so you’re basically “learning on the job”. For more information on studying part-time, please contact College of Cape Town at tel. 086 010 3682 or email info@cct.edu.za. Anele Ngxongo, a young mother from Kwazulu-Natal, has again proven that one’s circumstances do not define one’s success. Anele completed her studies in Jewellery Manufacturing at the College of Cape Town in 2015 with the support of a bursary from the Mining Qualifications Authority (MQA). Through dedication, passion and the access to financial support from the MQA, Anele’s achievement far outshines her humble background. Anele is a 24 year-old mother of 5-year old Owami. She grew up in a very big village called Nkandla in the depth of KwaZulu-Natal. Raised by her grandmother, Sakhephi Gabela, while her mother was busy working on piece jobs in Johannesburg, and growing up in a very big family with only one breadwinner was not an easy life for her. Since she was a very young girl, she was dedicated to her duties. Every day she and her fellow schoolmates had to walk 5km to school. After school they were responsible for collecting wood in the forest for boiling water or cooking food for the following day. Not an easy job considering the circumstances, but she managed to obtain her Grade 12 through hard work and determination – a vision, that carried her closer towards her success. Studying Jewellery Manufacturing was her dream. She always admired her mother’s jewellery and wondered how they were made. Earrings, rings and necklaces became fascinating objects to the growing Anele until she finally obtained an unexpected MQA bursary to study Jewellery Manufacturing at the College of Cape Town. This not only gave her a chance to study post-matric, but to study something that she truly loves. She was excited when the community leader, Mr Mthokozisi Mchunu, called her in and told her about this opportunity. A dream became reality and it was not long until she found herself on a bus to Cape Town – a big city open to wonderful possibilities, whilst leaving young Owami back in the village. There were many times were she missed her life and family back home but the passion for jewellery drove her to complete her studies. Determined to succeed and to bring her knowledge back to her village was a driving force greater than imagined. With the strength and support from her family she dedicated her efforts to achieving her dream that got her where she is now – ready to enter the jewellery industry as a skilled artisan. Studying Jewellery Manufacturing at the College of Cape Town not only gave Anele the skills and knowledge needed to manufacture jewellery in various metals including platinum but it also enabled her to learn how to set stones in tube, claw, pavé or channel settings. These are techniques that will guide her on her pathway towards victory. We asked Anele “What’s next?”, as she looked back on what she has achieved. She is proud to come this far, and proud of her strength and determination that drove her to where she is now. With a humble expression Anele responded: “I see myself having a big company at my place one day. A big company, which will help other people. I want to give back to my community and empower those that do not have the chances I had”. Here we value how one single person, with a passion and a dream can change the lives of many others. One person who steps into an unknown world, leaving behind everything she knows to gain the necessary skills and knowledge to help those that are in need. A victory that can only blossom into something greater than imagined. Let that be a beacon to what can be achieved through hard work, endurance and a vision to the betterment of this country. It is a great success story that can inspire many others. The College of Cape Town’s Cisco Networking Academy was once again awarded top honours for the best performing TVET College in the country. The award was made at the 2015 Cisco African Safari conference hosted by Cisco Systems and the Durban University of Technology. The event was well supported both locally and internationally with more than 100 delegates from 21 Cisco Networking Academy Programmes (CNAPs) from outside of the borders of South Africa, from ten different nationalities such as Angola, Botswana, Lesotho, Malawi, Mozambique, Namibia, Seychelles, Zambia and Zimbabwe. Five international representatives (staff) of the Cisco Academy was also in attendance. This year’s theme had a management focus, a review of technical updates and also profiled a battery of newly availed resources to aid academy students for workplace readiness and employability. These add-on curricula is designed to give students a better insight into the real world of work including modules such as the Introduction to the Internet of Everything, Introduction to Cybersecurity, Linux Essentials, Being your own boss, Entrepreneurship and Getting Connected. During the conference, top performing Academies were recognised for their contribution towards supporting the programme as well as their contribution in developing the internetworking technology skills so desperately needed in the region. The annual African Safari conference brings together CISCO NetAcad contacts, successful leads and instructors and the programme accommodates both technical and non-technical Academy staff. The Cisco Networking Academy programme holds an annual conference for more than 80 networking academies across Southern Africa. These academies are hosted at colleges and universities across Southern Africa, including the 69 networking academies in South Africa. The Cisco Networking Academy programme partners with governments, NGOs and educational institutions worldwide to afford students the opportunity to become ICT networking professionals, thereby increasing a countries ICT skills base. The vision is aimed at providing access to quality education which will improve their position and contribute to the advancement of democratic values in the province. Cisco has over the years shown its commitment to the building of a new South Africa and invested approximately R100 million in training over 34 000 students in a variety of ICT skills. This has occurred largely through the establishment of the Cisco Networking Academies across South Africa with plans to introduce another 200 Networking Academies into government schools and TVET colleges over the next few years. The fact that over 80% of all Networking Academy students are employed shows that Cisco is providing students with skills geared towards the needs of the ICT sector in South Africa. Innovative online assessments include embedded activities, simulations, text questions, and performance-based reviews. As a flagship, the College of Cape Town’s Cisco Networking Academy has its roots during the years which led up to the FET College merger during 2002, a period when the Athlone Technical College developed many international partnerships with organisations such as the COTEC (Algonquin College 1999-2003), University of Massachusetts, Springfield Community College (USA) and numerous others based on the outcomes of staff tours. The origin of the Crawford Campus’s Cisco Academy stemmed from a partnership between the Athlone Technical College, Springfield Community College (USA) and the North East Centre for Telecommunication Technologies (USA) who signed a joint agreement based on funding from a US Aid Grant. The terms and conditions of the grant specified the development of a telecommunication curriculum (assisted by the COTEC Project) based on a “matching” funding model. One year after signing up as a Local Cisco Academy, with staff attending the first International Cisco Education Conference in Paris, France. Whilst in Paris, a funding proposal was submitted to Unseco’s InfoYouth Division at their Headquarters for the establishment of an Academy. Subsequently, Athlone Technical College became the recipient of first Unesco Funded Cisco Academy in Africa. The College of Cape Town is proud of the achievements of its Cisco Networking Academy programme over the years since the inception of the programme in South Africa. The 2015 TVET College Awards reconfirms the quality of the programme that is being delivered, a sentiment that was also recently echoed by Vaughan Beckerling (Director of the Cape Peninsula University of Technology Cisco Academy Programme) at their recent Certificate Ceremony in Granger Bay. In his opening address, Vaughan acknowledged the quality of College of Cape Town graduates consistently being fed to them, and the fact that their two best performing students in the Advanced ComNet Programme for 2015, Budzouta Tsangou and Sherwin Retief, were two ex-College of Cape Town Cisco Networking Academy Programme students. The Principal of the College of Cape Town, Mr. Louis van Niekerk, has extended his congratulations to the Management and Lecturing staff of the IT Department based at the Crawford Campus for their commitment to the programme and for the consistent results being yielded. With magic anything is possible … just ask Mzukisi Lembeni, managing director of tour operator company iMzu Tours and qualified magician – turned book author, as he embarks on a United States of America book tour for his bestseller, Introducing Cape Town’s Townships , this Tourism Month! A graduate of Cape Town’s College of Magic, the only magical arts organisation of its kind in the world, Lembeni founded his tour guiding company in September 2011 and credits the College for imbuing him with self-esteem and teaching him the necessary expertise to build his professional persona with presentation, showmanship and business skills. His magical skills are what sets his Cape Town tours apart from others, as he performs magic for his tour guests. An ardent fan of close-up and comedy magic, Lembeni first caught the attention of tourists and his tourism mentor Claus Tworeck, MD of City Sightseeing South Africa, whilst performing magic shows at the Two Oceans Aquarium in 1998. Since then, he has successfully completed his tertiary education through the University of South Africa (Tour Operation Management) and has also attended the College of Cape Town where he studied Tourism Management and Tour Operation. Lembeni published his first book, Introducing Cape Town’s Townships, in 2014 and is currently developing his second manuscript. He will be visiting schools, colleges, universities and business clubs in the States to chat about his book, his entrepreneurial journey, life story and his magical studies. “I am very excited about this trip! It’s a once-in-a- life-time experience and I cannot wait to share my amazing tale with a larger, global audience “, says the excited businessman. The College of Magic, a non-profit organisation based in Claremont, has been teaching magic and its allied arts to children and adults for 35 years. Many of its graduates span the kaleidoscope of careers, finding success in business, IT, engineering, medicine, comedy, the film industry and education. “We are incredibly proud of Mzukisi and all that he has achieved. Magic is at its core about making the impossible possible, and Mzukisi’s successes have proven he shares this universal desire to achieve it! ” says David Gore, director of the College. For more information about Imzu Tours and bookings, please visit www.imzutours.co.za. For more information about the College of Magic and its courses, please visit www.collegeofmagic.com or call +27(0)21 683 5480. The College of Cape Town for TVET recently sent a delegation of staff members to experience the 2015 WorldSkills International Competition in São Paulo, Brazil first-hand. This delegation is the third group from the College to attend the international competition since 2009. Through exposing staff to this event, the College aims to further enhance skills development and excellence by making this competition element second nature in the classroom. This strategic move is in line with the National Development Plan to produce 30 000 artisans per annum, by 2030. “The College of Cape Town for TVET currently finds itself in an advantageous position purely because we have invested in exposing our management and staff to WorldSkills International Competitions since 2009, and based on the changes made by previous delegates that went overseas, I am confident that this trip would further enhance our efforts to support skills development.” said Mr Peters. “South Africa will be participating in 19 skills areas and competing against the world’s best. This life-changing experience will not only have the opportunity to master technical skills, but also self-discipline and many other essential life skills required for success. The College believes that this exposure will open up different opportunities for our youth. We can see the South African economy benefitting from this type of investment in our youth, and the College of Cape Town for TVET is doing everything it can to make sure that we also play our part in contributing to effective skills development. This and other skills competition projects will be used as trajectories to help the College’s students and staff improve their standard of performance so that it meets the standards as set by WorldSkills”, said Mr Peters. The experience and results of the international competition provides valuable feedback to not only the individuals, but also to the systems and enterprises in which they are being trained. For certain participants, it provides recognition for outstanding achievement, whilst for others it provides the motivation and knowledge to aspire to higher standards. For the spectators, it is an educational experience to see highly competent young tradespeople in action.